Pat Sinclair is a food consultant and a recipe developer with over 25 years experience. Her newest cookbook, Scandinavian Classic Baking from Pelican Publishing (www.pelicanpub.com) has just been released. Baking Basics and Beyond, her first cookbook, received the Cordon d’Or- Gold Ribbon Award from the Culinary Arts Academy in 2007. She is currently working on Dinner for Two-Easy Healthy Recipes to Fit Your Lifestyle. Recipe development for corporate clients includes Land O’Lakes, Pillsbury, General Mills, Publications International, Smuckers and The National Pork Board. Pat’s develops recipes that are easy, fast and practical for the home cook, keeping consumer’s busy lifestyles in mind. 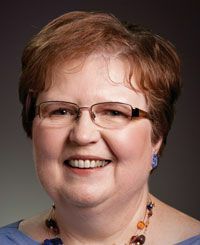 During her career she has tested hundreds of recipes included in diverse cookbooks including “Breakfast in Cairo, Dinner in Rome” for the International School of MN (winner for the Midwest of the 2000 Tabasco Community Cookbook awards), and “75 and Still Cooking” for Lutheran Brotherhood. She appears regularly on KARE 11 Today (NBC) in the Twin Cities. She has a degree in Food Research from Purdue University and a master’s degree in Foods from the University of Maryland. She is a member of Les Dames d’Escoffier, International Association of Culinary Professionals, and Twin Cities HEIB. Summertime — The Grilling is Easy…. And So Is Dessert!